In Hindu mythology, Lord Kubera is regarded as the Lord of wealth. As the superior guardian of wealth and treasurer of he Gods, it is His chief responsibility to distribute wealth among people. 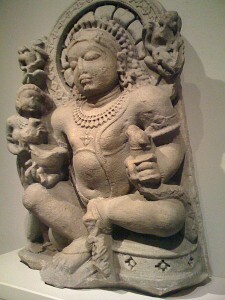 He is also known as the Lord of yakshas, and is always remembered with Lakshmi, the goddess of fortune. It is believed that a person who worships Goddess Lakshmi and Lord Kubera together, can never fall short of material comforts and money. Their worship is believed to be the basis of unlimited gain of prosperity and wealth. For when Lord is pleased, He blesses His people with material success. And, no matter how much one spends, the flow of money never stops, provided it is used for only constructive purposes. 1. First select a place that offers peace. The mantra can be performed at anytime. However, the mantra becomes more effective if it is practiced during Dhanteras, Eclipses, Navratris, Deepawali, and Akshay Tritiya. 2. This mantra is extremely responsive and takes normal time. The mantra is, ” Om shrim, om hrim shrim. Om hrim shrim klim vitteswarayah namah”. This means that you bow down to the Lord who is the giver of fame and wealth, and who is the destroyer of all evils and problems. In order to please Lord, you need to recite this mantra at least 108 times in a day. 3. Next, you need to take printout of the mantra or Sloka and keep it handy for everyday use. You can also download the above Sloka to your personal music system, walkman, or iPod for easy use. 4. Put on this audio: listen and read simultaneously. Also remember, while performing it, you need to join together the tip of your thumb, index, and middle finger. The other two fingers should be bent, so that they can rest in the center of your hand. This needs to be performed with both the hands. 5. The thumb finger basically represents the fire element, your middle finger represents space, and your index finger represents air. When all these three elements are joined, the forces help to achieve your desires. You must also clear your mind from all kinds of distractions to achieve the best results. 6. Within a few weeks, you will be quite comfortable with this mantra, and then you can fend off audio help, and begin reading from your printout. 7. In due course of time, if you try, you can also learn it by heart, and then avoid your printout too. 8. Try to chant the mantra every day, at least 108 times as mentioned above. 9. After finishing it, you must also pray to Goddess Lakshmi for overall prosperity. 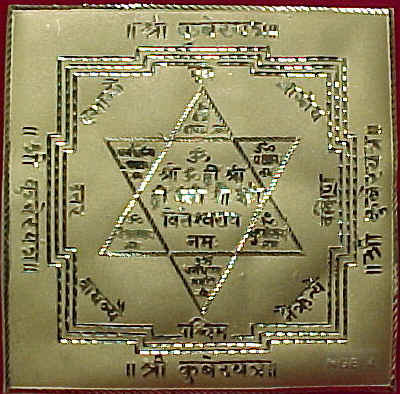 Many people all across the globe have performed and benefited from Kuber mantra. It has brought prosperity in their families, and improved their overall confidence and status in society. So what are you waiting for? Follow these simple steps, perform it everyday, and see for yourself! This entry was posted in Mantras and tagged Kubera, Magic, Mantra, Mantrik, wealth and prosperity by Mantrik. Bookmark the permalink.